The garage door’s weight tends to fluctuate seasonally and to change over the longer term. At the same time, the role of the torsion spring is to counterbalance the unit by having enough force to match its weight. As a result, spring readjustment may be needed more often than homeowners think. You can readily rely on us for this job. The signs of trouble to watch out for include difficulties with opening the door and keeping it closed. Our solution to the problem begins with testing to confirm that there is too much or too little tension in the spring, respectively. Then we will make the required adjustment with unwinding or winding the component. 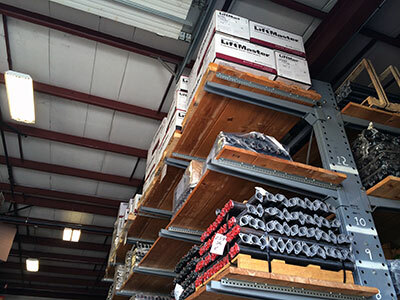 This is how we ensure the optimal performance of the spring system and the entire overhead door. If your garage door has a pair of extension springs, you should give them a quick visual check on a regular basis. Focus on the coils and their condition. If you find even a slightly twisted coil, you should solve the problem without wasting time. Count on us to replace the damaged spring with a new one of the same type and size. This will make the door safe and reliably working once again. When you have a broken spring, you must not operate the door until we replace it. One of the most important things, when it comes to installing new extension springs, is the running of a safety cable through them. This guarantees that in case of breakage, the pieces will stay in place instead of shooting out. When you don’t have the time to care properly for your overhead door and its spring system, our company can take over. 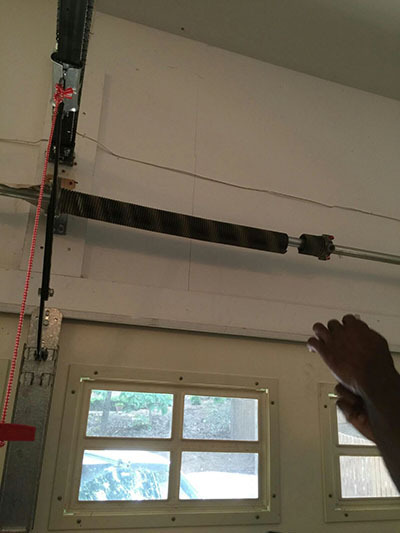 We test garage door springs to determine whether they can balance the unit properly and make adjustments, if required. Torsion springs require proper lubrication. We cover every coil with a thin layer of light lubricant which doesn’t harden over time even if temperatures drop considerably. This is how we give the component a long useful life and ensure its smooth and quiet performance.